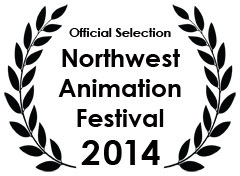 NW Animation Fest received 826 film entries this year. Of these, 174 of the very best will be shown during our 2014 event. Many excellent films could not be included simply due to limited screen time. We applaud the efforts of every artist exploring this challenging medium, and sincerely thank each of you who so generously shared your work.